Excellent service and more from Mr. Lucas at Bidet Showers. Knowledgeable and friendly and always ready to help. Would not shop elsewhere! BRA5500:Style and Italian craftmanship. The bidet shower head is beautifully crafted in Italy from solid brass with mirrror chrome finish. 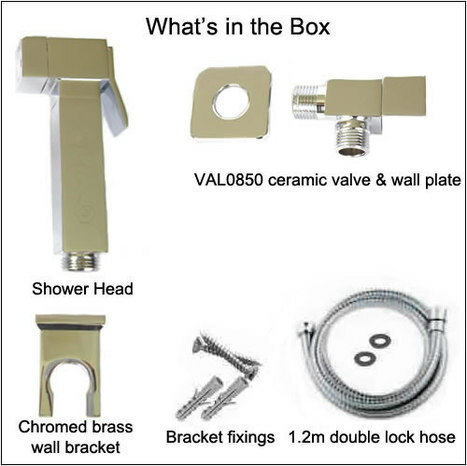 Kit comprises Shower head with water control trigger, 1.2M Double lock stainless steel hose chromed brass wall bracket and cubic style ceramic valve. 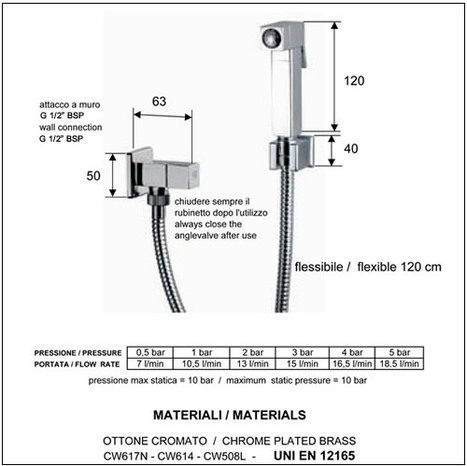 BRA5500: Quality Italian style cubic bidet shower with ceramic isolating valve. 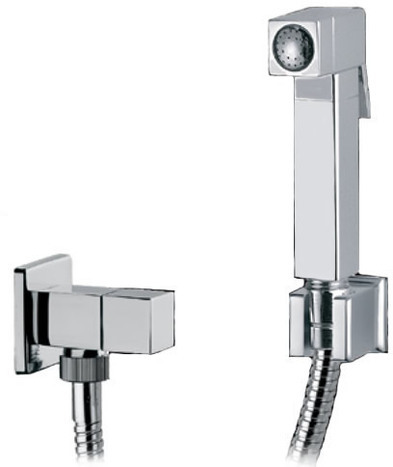 The quality BRA5500 Bidet shower kit coupled with the VAL0850, chromed solid brass ceramic 1/4 turn water isolating valve. For the discerning customer where quality, style and craftsmanship are key. The bidet shower head is crafted in solid brass with mirror chrome finish. Bidet shower head with water control trigger The bidet shower head is manufactured in high grade brass with a mirror chromium plate finish. Weight of shower head, around 330 grams. Ceramic 1/4 turn water isolating valve manufactured in solid brass with a 10 micron mirror chrome finish.